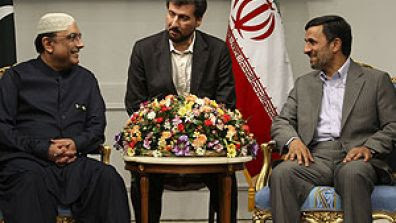 Iranian President Mahmoud Ahmadinejad hosted a meeting with the presidents of Afghanistan and Pakistan in Tehran recently. The focus of the meeting was the future of the region after the upcoming withdrawal of American and NATO forces from Afghanistan, Iran's neighbor to the east. Iran's concerns and plans coincide with its focus on the future of Iraq, its neighbor to the west, after the withdrawal of American forces from that country later this year. Interestingly, all three nations represented are Islamic republics. The official titles of the three are: Islamic Republic of Iran, Islamic Republic of Afghanistan and Islamic Republic of Pakistan. Despite the fact that Pakistan and Afghanistan are predominantly Sunni Muslim and Iran is over 90 percent Twelver Shi'a Islam, the leaders in Tehran believe that Islamic governments in all three countries can be a unifying factor. That includes unity against the West. The truth is that both Iranian Supreme Leader of the Islamic Revolution (rahbare mo'azzame enghelab, literally "Leader of the Revolution") Ali Khamenei and Iranian President Mahmoud Ahmadinejad are positioning themselves to become the key power brokers in Afghanistan, much as they have done to the west in Iraq. Following the American invasion of Iraq and removal of the Saddam Husayn regime, the Iranians immediately began a campaign to solidify relations with the Shi'a majority in Iraq. As that Shi'a majority gained the prominent position in Iraqi politics by virtue of its sheer numbers, the Iranians were quick to offer all types of support. The Iranians succeeded beyond their wildest expectations in Iraq. With the election of Prime Minister Nuri al-Maliki, the Iranians got a virtual puppet in charge in Baghdad - al-Maliki is derisively known as al-irani, the Iranian. After his first term, he was able to retain the prime minister position despite not winning the most number of seats - it was Iranian influence that led to the formation of a new government with al-Maliki still in charge. Although it was American military power that removed a ruthless dictator in Iraq - at great cost in terms of blood and treasure - it was ultimately the Iranians who benefited the most from that action. The brutality of the Saddam Husayn regime has been replaced by a new government allied with an equally brutal regime in Tehran. With Iraq firmly in their sphere of influence, the Iranians are now turning their attention to the east. The Iranians have attempted to influence events in the Herat area of western Afghanistan for years, including dispatching elements of the Islamic Revolutionary Guard Corps to provide the same things the IRGC has done elsewhere in the region to destabilize situations - money, weapons and training to subversive elements. Just as they have supported insurgencies and uprisings in Lebanon, Kurdish Iraq during the Saddam years, Croatia, Chechnya, Gaza and post-Saddam Iraq, the IRGC's al-Qods (Jerusalem) Force has provided material support to the Taliban. It is important to note that in the mid-1990's, the Taliban (Sunni Islamist) and the Iranians (Shi'a Islamist) were enemies. Mutual hatred of the United States transcends the differences between the two Islamist groups. In Pakistan, relations between the United States and Islamabad are strained, especially in the wake of a U.S. special operations raid into Pakistan in which American troops killed al-Qa'idah leader Usamah bin Ladin under the noses of an either complicit or incompetent Pakistani intelligence service (I'm betting on complicit). Iran is attempting to exploit this ebb in the Pakistani-American relationship, with some success. In the two years since Barack Obama took office and instituted his policy to engage the Iranians, Iranian influence in Iraq, the Persian Gulf and now South Asia has increased markedly. The Iranians are also pursuing the development of a nuclear weapon almost unchecked, yet there appears to be no change of strategy in Washington. Mr. President, is that what you had in mind when you took office? Perhaps it's time to reassess this "engagement" policy - it's clearly not working. President Obama announced his plans to begin the withdrawal of 10,000 American troops from Afghanistan by the end of this year, and as many as 33,000 by the end of next year. This is how the Taliban's intelligence officers might assess Obama's remarks. 1. SUMMARY: On 19 Rajab 1432, Infidel crusader President Barack Obama announced his plans to reduce the number of occupiers by 10,000 by the end of this year. We expect to see one brigade (approximately 5,000 troops) beginning to retreat in Sha'ban, followed by another brigade nolater than at the time of the pilgrimage this winter. An additional 23,000 troops will be withdrawn by the end of next summer. In essence, Excellency, the infidel crusaders have given up. Our strategy to counter the so-called American "surge" has been proven effective. Victory is within sight. Allahu akbar. a. This report should be read in conjunction with our earlier report, "President Obama Provides Outline for Taliban Victory in Afghanistan" of Thu al-Hijjah 13, 1430 (December 1, 2009). That report detailed Obama's announcement of the so-called surge, but included a date certain for the beginning of the withdrawal of those troops. Thanks be to Allah that Obama has no military experience or training, and apparently no understanding of military strategy. He predicted his own defeat, and now that glorious day has come. As our friends and supporters in the hopefully temporary Kingdom of Saudi Arabia say, Obama has been hobbled by his own 'iqal. b. Since Obama has no valid military reason to withdraw his troops, we assess that the announcement of the removal of 33,000 troops over the next year is a political decision based on American public opinion. Polls in the United States indicate that most Americans want the 10-year war to be over, and that the continued presence of American forces does nothing to further American strategic interests. Just as our Vietnamese brothers did four decades ago, we have won the battle not on the battlefield, but via American public opinion. Although we cannot militarily defeat the cowardly Americans with their aircraft, drones and artillery, we have bested them in their own media. As Ho Chi Minh warned the Americans years ago, "We kill one of you, you kill ten of us. But soon you will tire of it and go home. We will still be here." The Americans are going home; we will still be here. c. The infidel Secretary of State, the uncovered woman Hillary Clinton, claimed in a Congressional hearing that American and NATO forces have broken the momentum of our faithful mujahdin. Her fictional claims cause our beards to shake with laughter. Nothing could be further from the truth. We have allowed the crusaders to advance where we cannot stop them, and resist where we can. Yet, no areas that they have "secured" remain under their control without the continuous presence of their troops. The population is with us. a. As in our earlier report, Excellency, we encourage the mujahidin to continue to conduct low-level operations against the infidels using the calendar as our battlefield companion. We should continue to wait out the Americans and their NATO subjects as they begin their retreat from our mountains. At that time we will rebuild the Islamic state we all crave. Now that we have a timetable when the crusaders will leave, we can plan accordingly. b. We further suggest that our mujahidin continue to infiltrate the ranks of the so-called Afghan National Army. When the Americans determine that this force is capable of maintaining "security" (as they define it) in the country, more of the foreign occupation troops will depart. When enough of them are gone and the so-called army is deployed, we will order our embedded mujahidin to rise up and seize control. The Americans, weary of the war, will not return. Witness again their actions in Vietnam as their allies were crushed. So it will be in the land of the Pashtun. c. The apostate Obama has spoken many times about American cooperation with Pakistan, yet there seems to be little willingness on the part of the regime in Islamabad to work with the crusaders. We should continue to exploit the rift between the two countries in the wake of the dastardly murder of our Arab al-Qa'idah brother Shaykh Usamah bin Ladin (peace be upon him). Our contacts within the Pakistani Inter-Services Intelligence Directorate assure us that any further cooperation with the Americans - including allowing unpiloted aircraft attacks - is from the Punjabis and Sindhs - the Pushtuns remain in our camp. d. We are aware that elements of our organization are "negotiating" with the occupation authorities. We assess this is bearing fruit, especially in light of Obama's virtual capitulation to American public opinion and the extreme left wing of his party. This tactic has been useful as it encourages the United States to continue to spend money in what they refer to as "nation building." Look for Obama to continue to appease his party as he grovels for re-election next year. The more the occupiers build for us, the less reconstruction we will have to do when they leave - it will all fall under our control as we re-assert our authority over areas as soon as the crusaders depart. We especially appreciate their building of girls' schools. Since we have no need for education of women, these buildings will make excellent offices for our renewed administration of the country. e. Excellency, we respectfully advise that as long as the crusaders are continuing to retreat and continue removing their forces, you do not invite our al-Qa'idah brethren to re-establish their presence in our country. A renewed al-Qa'idah presence will give the infidel Obama an excuse to stop the retreat and increase military operations against us. Further, we believe that the reintroduction of al-Qa'idah even after all infidel forces have departed will cause renewed American air operations over Afghanistan. Although we are capable of defending ourselves, the crusaders do have the ability to cause great damage to our forces, installations and infrastructure from the air. f. Sadly, we have distressing news on the hell-hole known as Guantanamo. Although the apostate Obama promised to move our brothers to civilian courts in the United States, the American Congress has prevented that from happening. Unfortunately, it now appears that our heroic fighters will be tried by military courts. We can only assume that courts comprised of military officers who have been involved in the persecution of our people will be disposed to further illegal detention and possibly execution. 4. CONCLUSION: The American president, the apostate Barack Obama, continues swinging at a goat carcass much larger than his club can handle. The Islamic Republic of Afghanistan - the truly Islamic state - will resurrect, thanks be to Allah. Then we will rid ourselves of the traitor Hamid Karzai and his ilk, and reform the status of women in accordance with the laws revealed to Muhammad (peace be upon him) and bring our society back into compliance with shari'a law. Another invader will leave and we will progress on the path of jihad. The recent protests in Syria pose a real threat to the regime of President Bashar al-Asad, and by extension, to the very existence of the Iranian-supported Shi'a militant organization Hizballah in neighboring Lebanon. Hizballah was started by the Iranian Islamic Revolutionary Guard Corps in 1982, and continues to exist and flourish because of direct Syrian support and Damascus's acquiescence in allowing Iran to provide substantial amounts of money, weapons and training via Syrian airspace and highways. The future of Bashar al-Asad and his Ba'th Party is unknown. Many analysts believe that he will be able to weather the current storm and successfully - and brutally - suppress the protests and demonstrations against his continued rule. According to human rights groups, over 1,400 civilians have been killed and 10,000 others taken into custody by the dreaded Syrian security services since the protests began in mid-March. Common sense analysis would normally lead you to the conclusion that at some point, the Syrian military, intelligence and security services will refuse to continue the brutal oppression of their own people. It was similar refusals on the part of the Egyptian, Tunisian and to some extent Yemeni forces that led to the fall of the presidents of those countries. However, what is happening in Syria is not your normal situation. If Israeli intelligence is to be believed - and they have excellent sources in Syria - it is not just Syrian forces involved in the suppression of the demonstrations. The Israelis claim that Iran and Hizballah have dispatched armed units to assist the Syrians. The reports of non-Arabic speaking officials is consistent with the presence of Iranian units; Iranians speak Farsi (Persian), not Arabic. Reports that Hizballah may have deployed some of its members to assist Syrian units is credible, for several reasons. 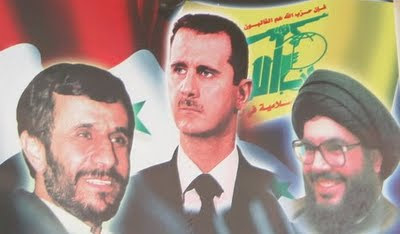 Being Lebanese, Hizballah has no real allegiance to the Syrian people. In fact, the converse is true - Hizballah does have an allegiance to the Syrian government, based on a longstanding relationship in which the Syrian government provides weapons and training to the group, and the group functions as a surrogate armed force in Lebanon targeted against Israel. In the past, when tensions between Syria and Israel increased, Syria would often direct Hizballah to create a disturbance on Israel's northern border. This gave Damascus the option of confronting the Jewish state without using an overt Syrian hand. In the event that the Syrian government falls, the new Syrian government, be it secular or dominated by the Sunni Muslim Brotherhood, will likely not be favorable to continue the close relationship with Hizballah. That would be the best case. In the worst case for the Shi'a organization, Hizballah may well find itself confronted with a government hostile to its very existence. Further, if the new Syrian government distances itself from its primary sponsor - Iran - Hizballah's support might wither substantially. The organization will find it difficult or impossible to survive without Syrian and Iranian support. There are rumors rampant in Lebanon that Hizballah is making preparations for a possible war with Israel to divert world attention from the situation in Syria. I have problems with this on several levels. Rumors are the favorite pastime of the Lebanese. If Hizballah wanted to start a war with Israel, and I doubt that after the damage Israel did to southern Lebanon and the Hizballah-controlled areas of Beirut in 2006, they cannot challenge superior Israeli firepower. While the results of that war were inconclusive and Hizballah has been fully rearmed by Damascus and Tehran, the organization was sharply criticized for exposing the infrastructure of the entire country of Lebanon to extensive damage at the hands of the Israeli air force. Despite the fact that Lebanon now has a Hizballah-dominated cabinet, I doubt if the majority of Lebanese would support Hizballah starting a war with Israel in support of Syria. Starting such a war may spell the end of the organization's role as the key political power in the country. Hizballah faces a difficult calculus. It needs to do all it can to ensure that the Bashar al-Asad regime in Syria survives, but is reluctant to risk its current political situation in Lebanon in a war with Israel. If it does nothing, however, it risks its very existence. 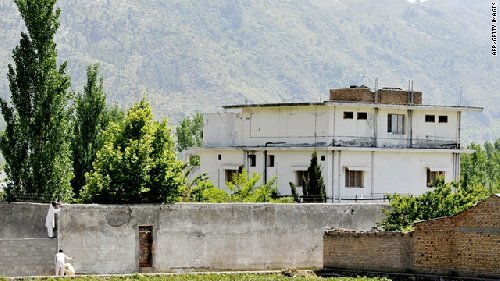 In the aftermath of the successful U.S. special operations assault on the Usamah bin Ladin compound in Abbottabad, Pakistan, there has been a chilling of relations between the intelligence services of the two countries. This is understandable since the United States and Pakistan are supposed to be allies, yet a team of U.S. Navy SEALs launched a covert raid from Afghanistan into Pakistan, conducted an attack on a residential compound and killed al-Qa'idah leader Usamah bin Ladin (among others) and removed his body from the country. How would we react to such a raid on American soil? That said, it is important to consider the nature of the alliance between the United States and Pakistan as well as the intelligence cooperation aspect of that alliance. The American military and intelligence establishments have had a longstanding relationship with the Pakistani intelligence service, the Inter-Services Intelligence Directorate, more commonly known as the ISI. That relationship was very close in the 1980s during the American effort in support of the Afghan mujahidin fighting the Soviet occupation of Afghanistan. Virtually all American support to the mujahidin, be it money, weapons or training, was funneled through the ISI. That was not without its controversies. Chief among these was the lack of strict accountability of the FIM-92 Stinger man-portable, shoulder-fired air defense missile system, regarded by many even today as the most effective system of its type in the world. Its use was one of the key factors that led to the defeat of the Soviets in Afghanistan. The U.S. Defense Department was concerned that a lack of strict control of the Stingers might lead to them falling into the hands of potential adversaries, and that the missiles might in the future be used against American pilots. This is exactly what happened. At least one Stinger captured later from the Iranian Islamic Revolutionary Guard Corps (IRGC) was traced to a shipment sent to the the ISI for provision to the mujahidin. Since the Stinger-IRGC issue, there has been a well-deserved skepticism of the trustworthiness of the ISI. That has been compounded by the ISI's role in the creation of the Taliban and that group's subsequent seizure of power in Afghanistan. Following the Afghanistan-based al-Qa'idah attacks on the United States in September 2011 and then-Pakistani President Pervez Musharraf's decision to support American military operations against the Taliban and al-Qa'idah in neighboring Afghanistan, there has been suspicion of the ISI's true loyalties and allegiance. This suspicion on the part of the U.S. military and intelligence service extended to elements of the Pakistani military as well. Given the lack of alternative allies, working with the Pakistanis was the only, albeit unpalatable, option. The recent successful hunting down and killing of Usamah bin Ladin has again called into question the loyalties and allegiance of our Pakistani "allies." The world's most wanted man was living in a city that is home to many retired military and intelligence officials, and home to Pakistan's military academy. Bin Ladin had been living there for as long as seven years. The thought that no one in the Pakistani military or intelligence services were not aware of his presence, or that he was not being assisted by some members of these organizations stretches the bounds of credibility. We are left with one of two conclusions - either the Pakistani military and intelligence services are complicit, or they are incompetent. Neither conclusion is comforting. I am voting for complicity. Governments, or more properly, regimes in this part of the world survive through the creation of excellent internal security services. To think that the Pakistani intelligence and security agencies were not aware of the presence of Usamah bin Ladin in their country is hard to believe. The recent arrests of those who supported the American operation against bin Ladin seem to bear out my theory. How better to silence any witnesses that might be knowledgeable of Pakistani complicity than to place them under arrest? From reading reports of Pakistani treatment of suspects, being under arrest in Pakistan at the hands of the dreaded ISI is potentially life threatening. This is exacerbated by Pakistan's foot dragging on issuing visas for the American investigators with whom the Pakistanis have agreed to cooperate. Al-Qa'idah's General Command (al-qiyadat al-'amah lil-jama'at al-qa'idah al-jihad)* issued a statement that Dr. Ayman al-Zawahiri has been named as the new new leader of the organization, succeeding Usamah bin Ladin. One has to ask the question - where is al-Zawahiri? Most analysts believe he is in Pakistan, just as was bin Ladin. Can we expect cooperation from our "allies" the Pakistanis in hunting down and killing Ayman al-Zawahiri? Probably as much as we got in the hunt for Usamah bin Ladin. * The Arabic used in the al-Qa'idah statement is interesting. Normally they refer to themselves as tanzim al-qa'idah, or "the al-Qa'idah organization." This statement used the words jama'at qa'idah al-jihad, which translates to "the al-qa'idah jihad group." Does this indicate the organization describing itself as a parent group of subordinate terrorist entities? "Covert" drone attacks in Yemen? Recent press reports claim that the United States is about to begin a "covert" Central Intelligence Agency operation in Yemen. 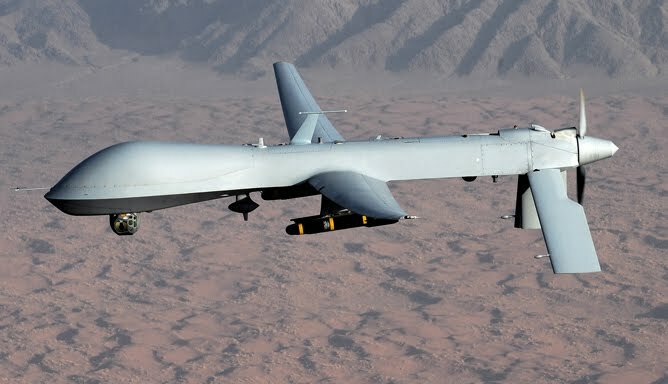 Much like a similar "covert" operation in Pakistan, the CIA will use armed Predator drones to launch missile attacks on al-Qa'idah militants in the country. I have placed the word covert in quotes to indicate the irony that once the existence of an operation is made public, it can no longer be considered covert. In the cases of drone attacks in Pakistan and Yemen, it is probably a moot point. While covert operations are operations that are readily apparent - like a missile strike - the persons, agency and/or country conducting the operations usually remain unknown. When Predator drones are used in countries without a U.S. military presence, it is likely, but not certain, that the operation is an American operation conducted by the CIA. (The Royal Air Force and the Italian Air Force also operate armed drones). The covert nature of the operation is likely compromised after the first attack evolution. Expanding the CIA drone attack operation beyond Pakistan makes sense, and the Obama Administration should be applauded for doing so. No doubt there will be a great hue and cry from various civil liberties groups that we are not affording due process to the targets of these missile attacks. I believe that we are in a war, but let them show their ignorance and disdain for effective counterterrorist measures. Al-Qa'idah moved its operations from Afghanistan to Pakistan after being decimated by the American invasion in 2001. After the "Anbar Awakening" and American troop surge in 2007, the organization moved most of its surviving fighters from Iraq to Saudi Arabia, where the Saudi security forces killed many of them and forced the remainder to relocate to Yemen. Since al-Qa'idah is no longer in strength in either Iraq or Afghanistan, but is in Pakistan and Yemen, these are suitable venues for American attacks. Rather than fighting the Taliban and engaging in nation building in Afghanistan, we should be killing the real enemy wherever that enemy is located. That currently is Pakistan and Yemen. Yemen is in a state of turmoil. 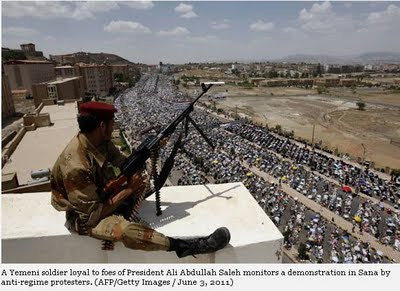 President 'Ali 'Abdullah Salih and his regime are the targets of a popular uprising demanding that he step down. The President was wounded in an attack on the presidential compound and is currently in Saudi Arabia ostensibly for medical treatment. Whether or not he will return is unknown at this time. The regional al-Qa'idah-affiliated group, al-Qaidah in the Arabian Peninsula (AQAP), is exploiting this power vacuum and is attempting to turn the country into a new Afghanistan, a venue for training operatives and planning attacks on the West, especially the United States. See my earlier piece, Yemen - fertile ground for al-Qa'idah. Of major interest to the U.S. government is the presence of an effective al-Qa'idah leader, American-born Anwar al-'Awlaqi. Again, given al-'Awlaqi's status as a native-born American citizen, there will be protests that any orders to kill him violates U.S. law. it would appear that the Obama Administration, to its credit, has determined that al-'Awlaqi is a valid terrorist target and should be hunted down and killed by whatever means, be it a missile strike or a visit from SEAL Team Six. In this case, the Administration is continuing to operate under the finding issued by President George Bush which directed the CIA to kill or capture al-Qa'idah militants. The American people have spent a lot of money developing the unique low-risk, high-impact capability of the armed unmanned aircraft. I applaud the President's decision to use it. This is the logical conclusion of a piece I did earlier this year: Lebanon - failure of American leadership in which I blame President Obama's misguided Middle East outreach policy for the loss of Lebanon as a U.S. ally. The rise of Hizballah is the direct fallout of the utter failure of that policy. After months of back and forth between the disparate ethnic groups, confessional factions and political parties that define the Lebanese body politic, Hizballah-backed Prime Minister Najib Miqati announced a new cabinet that gives the Iranian-created and Syrian-backed "Party of God" 16 of the 30 seats. That gives a party labeled as a terrorist organization by the U.S. government unprecedented power in the one-time American ally. In real terms, however, this cabinet lineup gives unprecedented influence to the regimes in Damascus and Tehran. Giving credit where credit is due, Hizballah has done through political intimidation and maneuvering what it could not do by force of arms, although they possess the most potent armed force in the country, easily outclassing the Lebanese Army. With Hizballah now in charge, the Lebanese Army will become another tool of the Islamist organization. Despite almost $750 million of American aid money since 2006 to support the Lebanese Army, it will no longer be a moderating force in the country. Hizballah has now emerged as Lebanon's major power broker. According to the Lebanese constitution, the proposed cabinet slate must be presented to the majlis al-nuwab (Chamber of Deputies, the legislature). This is a sham exercise. I want to interject a small point of humor here. For those of you who do not speak Arabic, sham is the Arabic word for the Damascus area. To say submitting the names to the Lebanese parliament is a "sham" exercise, I mean that it is merely being submitted for Syrian approval. Of course, the chamber is going to rubber stamp it - it has already been approved in the Syrian (and Iranian) capital. 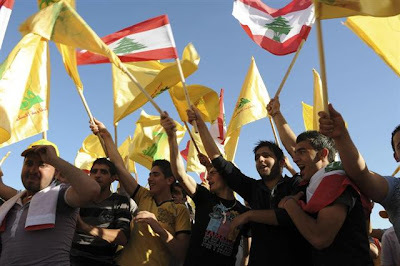 The Hizballah-dominated Lebanese government has not consulted with Washington - why should it? The current administration has made itself irrelevant by its weak and aimless outreach policy. Prime Minister Miqati is not trying to adhere to American wishes, mainly because he does not know what they are. There has been an absence of American leadership in the region, which has in turn led to American failure in the region. Looking at what has been labeled the "Arab Spring," where is the United States? There was no policy leadership in Tunisia, none in Egypt - a key American ally, and none in Yemen. Given the half-hearted attempt at shying away from initial leadership and now merely participating in Libya until shamed into it by France and the United Kingdom, it is no wonder many of our Arab allies are losing faith in the United States to address relevant foreign policy issues. Unfortunately, what is happening in Lebanon is symptomatic of our policies in the region. No one takes us seriously. As I asked in my original article: "So, Mr. Obama, how is that outreach policy working out for you? More importantly, how is it working our for our allies in Lebanon?" P.S. Mr President, it's a rhetorical question - I know the answer. Can Syria's Bashar al-Asad survive "the Arab Spring?" In what seems like a continuous refrain, Syrian President Bashar al-Asad has sent thousands of troops backed by armor, artillery and helicopter gunships to attack his own people, this time in a city in northwest Syria. 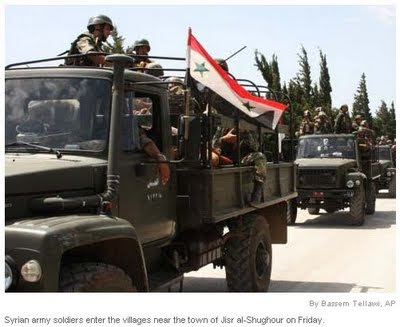 The move caused as many as 10,000 residents of the area of Jisr al-Shughur to seek refuge in neighboring Turkey, about 12 miles away. The violence in this part of the country follows demonstrations and armed confrontations in Dara', located in the far south of Syria on the border with Jordan, in the industrial city of Homs in central Syria, in Hamah, the city virtually destroyed in 1982 by Bashar's father Hafiz, in suburbs of the capital city of Damascus, in the coastal city of Latakia (near the Asad family home of al-Qurdahah), and now in the Turkish border area. Jisr al-Shughur was the venue of a 1980 uprising against then-President Hafiz al-Asad; it was brutally crushed by the Syrian army. Bashar learned well from his father. In March 1980, Bashar was almost 15 years old, certainly old enough to observe how his father handled threats to his iron-fist rule of the country and absolute control of the socialist Ba'th Party. The elder Asad sent Syrian assault helicopters carrying maghawir (commandos) into the city to conduct a ruthless operation in which hundreds of residents were killed. Bashar was almost seventeen in February 1982 when his father dispatched Bashar's uncle Rif'at to Hamah to quell an uprising against the government orchestrated by the Muslim Brotherhood. Estimates of the dead resulting from the carnage range from 20,000 to 40,000. The numbers are hard to determine because Rifa't flattened the center of the city with heavy artillery, followed by tank assaults and house-to-house searches by the dreaded mukhabarat (intelligence service). A thousand Syrian troops died in the fighting, but in the end the city was subdues in what is described as one of the most brutal attacks by an Arab leader on his own population. The Syrian operation is referred to now as the "Hamah Rules." Of course, Hamah was before Mu'amar al-Qadhafi began to attack his own citizens earlier this year. Like his father, Bashar believes that he has no choice but to put down any challenge to his regime with brute force. If the Syrian demonstrators are successful, which is far from decided, there will be no future role for Bashar, his family, his ethnic 'Alawi sect, nor the Ba'th Party. In essence, these groups will lose everything. Most of the senior military leadership falls into one of those constituencies, so they have everything to lose as well. It is in their interest that Bashar remain in power. That is why there have been only a few defections among the military leadership. For the most part, Syrian troops have followed the orders of Bashar's younger brother Mahir, who Bashar has put in charge of quelling the current uprising. Like his uncle Rif'at before him, Mahir has not been at all reticent to use the full range of weaponry available to the Syrian armed forces. This includes the use of the very effective and deadly Mi-25 (NATO: HIND) gunships. When I was the air attache at the U.S. Embassy in Damascus, I would watch Syrian HINDs conducting maneuvers. It is a frightening aircraft. Asad's handling of the over four months of demonstrations across Syria differs from those in Tunisia and Egypt, where the army refused to fire on their fellow citizens. What we see in Syria is somewhat reminiscent, albeit to varying degrees, of the reactions of King Hamad in Bahrain, President 'Ali 'Abdullah Salih in Yemen and Mu'amar al-Qadhafi in Libya. The brutal action of the Syrian regime is closest to that of the Qadhafi government in Libya. The difference between what is happening in Libya and what is happening in Syria is the reaction of the West. France, the United Kingdom and the United States (although reluctantly) declared that what Qadhafi threatened to do to his own people was unacceptable. Based on a United Nations Security Council Resolution, a coalition of forces led initially by the United States, enforced a no-fly zone over the country. NATO has taken charge of the operation and is currently attempting to force Qadahfi to relinquish power. There is no similar action against Syria, even though the situation is equally dire. Syria plays a more important role in American foreign policy issues - the Middle East peace process, support to terrorist groups including Hizballah in Lebanon, alliance with Iran, etc. Yet, there has been nothing but rhetoric aimed at Bashar al-Asad, while Libyan forces are being attacked daily by NATO airpower. Given the treatment of the two situations, I think it is safe to say that Mu'amar al-Qadhafi will not survive the so-called "Arab Spring." What about Bashar al-Asad? Will he and his regime survive the Arab Spring? Tough call. I lived in Syria and watched how the Ba'th Party and the Asad family ran the place. I was there when Hafiz's eldest son and hand-picked successor Basil was killed in a senseless automobile accident. While I thought that Basil had been prepared well by his father to take over the leadership at some point, Bashar was more of a question. When his brother was killed, he was furthering his education in ophthalmology in London and was more interested in his British girlfriend than in being president of Syria. Of course, that all changed in an instant and the grooming process began anew. In 2000, he became President on the death of his father. I was surprised at how his father had prepared the way by constructing a series of alliances in the power centers of the country. It took the Syrian majlis al-sha'ab (parliament) less than 90 minutes to amend the constitution to allow the under-40 Bashar to assume the presidency. I must admit now that Bashar learned well from his father. Although he came into office with talk of reforming the country, opening up the economy more to market forces, lessening the restrictions on external communications, it soon became apparent that his primary function - as with most absolute dictatorships - was to maintain the regime. The key to regime survival, as with most regimes in the Arab world, is the military. In Egypt, the decision of the military to not support Husni Mubarak led to his ouster, just as it did earlier in Tunisia when the army refused to support Zayn al-'Abidayn bin 'Ali. In Yemen, the jury is still out on Salih's fate. In Bahrain, the military supported the government, and with intervention by troops from Saudi Arabia and the UAE, King Hamad remains in power. As for Bashar al-Asad, watch the senior Syrian military leadership. Bashar, and his father Hafiz before him, placed family and political allies in all the key positions, as well as in those of the pervasive intelligence service and the Ba'th Party. If there is a wave of defections in the military, intelligence apparatus and the party, Bashar's days are numbered. I haven't seen any indication yet that causes me to be hopeful that he will not survive. My assessment is that the rest of the world will not rush to intervene in Syria as they did in Libya. Without outside intervention and the support of the army, Bashar's chances of survival remain good. The rapidly deteriorating situation in Yemen is creating fertile ground for al-Qa'idah's local affiliate to create a new Afghanistan. This "new Afghanistan," however, will sit on the border of America's key Arab ally in the region, the Kingdom of Saudi Arabia. On June 3, there was an attack on the Yemeni presidential palace compound Sana'. President 'Ali 'Abdullah Salih was slightly injured, and was able to make an audio announcement later in the day. Salih's cat-and-mouse game over how and when he will relinquish power only serves to exacerbate the violence in the country. More than 350 people have been killed since the uprising started in January. At some point, he will have to step down as president. There is a Gulf Co-operation Council deal on the table that would allow Salih to relinquish power with a guarantee of immunity from prosecution. He would be wise to take it. That begs the question: what happens after he departs? Unless there is an orderly transition of authority, there will be a huge power vacuum in the country. Given the fractious tribal society that is Yemen, it is highly unlikely there will be an orderly transition. The absence of central authority in Sana' will create an opportunity too hard to resist for al-Qa'idah in the Arabian Peninsula (AQAP) and its charismatic American-born leader, Anwar al-'Awlaqi. Unfortunately, AQAP may be in the best position to seize a leadership role in the country. If AQAP emerges as the key power broker in the country, Yemen may become what Afghanistan was prior to the American invasion in 2001. The mountainous country could be the new home base of al-Qa'idah and an expanded venue for its training camps. Most of the recent attacks on the United States have had origins in Yemen. The emergence of Yemen as an al-Qa'idah stronghold does not come as a surprise to most Middle East observers. Yemen's commitment to its supposed alliance with the United States and to the global war on terror is sketchy at best. The United States Central Command (CENTCOM), the organization responsible for military operations in the region, has tried to establish a close relationship and partnership with the Yemeni military for the last 30 years. It has not always been successful or even useful. In the late 1980's, CENTCOM floated the idea of establishing its headquarters, or at least a forward headquarters, in Yemen. Thankfully, saner heads at the Department of Defense prevailed and the idea was shelved. Yemen does not have the security, infrastructure or geopolitical location to serve as the focal point for American military operations in the region. A short survey of our history with Yemen might be helpful. - October 2000: The USS Cole was attacked while on a port visit to Aden, killing 17 American sailors. - February 2006: Twenty three al-Qa'idah prisoners escaped from a Yemeni maximum security prison. Included in the 23 escapees were Jamal al-Badawi, the mastermind of the attack on the USS Cole, and Jabr al-Banah, an American citizen wanted in New York state for terrorist activities - he is one of the so-called "Lackawanna Six." - July 2006: A Yemeni court has acquitted 19 suspected al-Qa'idah members, some of whom had confessed to fighting American troops in Iraq. According to the judge, killing Americans in Iraq is not a violation of Yemeni law. - February 2008: Jabr al-Banah (see February 2006 entry) waltzed into a courtroom in Sana', Yemen, made a brief appearance and departed. - May 2008: Usamah Bin Ladin ordered his followers in the Kingdom of Saudi Arabia to leave and head for Yemen. Bin Ladin assessed - correctly, in my opinion - that the climate in Yemen is much more conducive venue to base his terrorist operatives and their operations. - November 5, 2009: U.S. Army psychiatrist Major Nidal Hasan killed 13 and wounded 30 others in an attack at Fort Hood, Texas, inspired by Anwar al-'Awlaqi. - December 25, 2009: Nigerian 'Umar Faruq 'Abd al-Mutallab, trained by AQAP and inspired by al-'Awlaqi, attempted to detonate explosives hidden in his underwear while on board a Detroit-bound airliner. - May 1, 2010: Faysal Shahzad, a Pakistani American inspired by al-'Awlaqi, attempted to detonate a car laden with explosives in New York City's Times Square. - October 2010: Two air cargo packages were intercepted overseas, reportedly based on information provided by the Saudi intelligence service. The two packages contained explosive devices hidden in printer cartridges and were bound for Jewish facilities in the Chicago area. The packages were discovered on aircraft in the United Kingdom and Dubai (United Arab Emirates); both originated in Yemen. It seems to me that bin Ladin was correct. After he ordered his followers to relocate to Yemen following defeats in Afghanistan, Iraq and Saudi Arabia, al-Qa'idah has been able to mount operations against the United States, albeit with mixed results. I believe it is a combination of the skills of Anwar al-'Awlaqi and the weak government of 'Ali 'Abdullah Salih that has allowed Yemen to devolve into a terrorist haven. When Salih departs, I fear that al-Qa'idah will be able to be even more effective, unless a strong central government emerges. I am not optimistic.